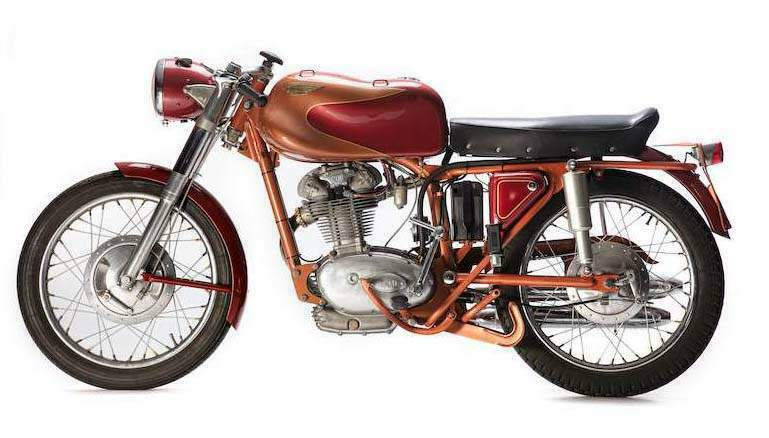 Designed by Fabio Taglioni, the first Ducati overhead-camshaft single - the 100 Gran Sport - appeared on the racetrack in 1954 and soon proved unbeatable in its class. 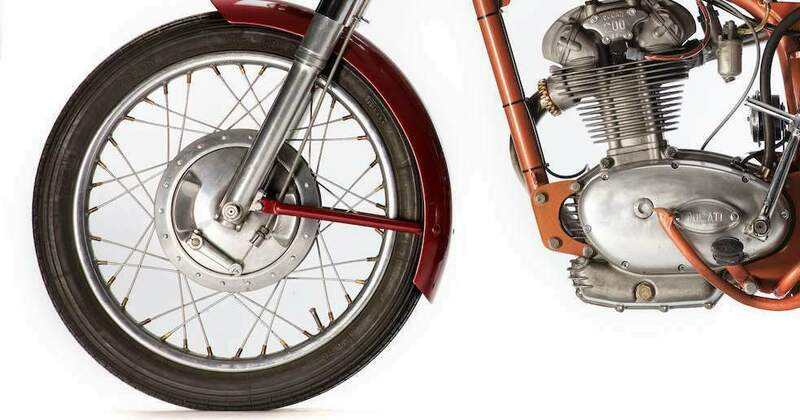 Taglioni's versatile design proved capable of considerable enlargement, being produced in various capacities from the original 98cc up to 450cc. A pair of 175cc roadsters was introduced for the 1956 season, the sports version of which (known as the 'Silverstone' in the UK) was capable of more than 80mph, an astonishing achievement at the time and one that helped establish the giant killing reputation long enjoyed by Ducati's miniature masterpieces. In 1959 the engine capacity was increased to 204cc for the Elite and 200SS models but from 1961 onwards the Elite's engine was based on that of the 250cc model. Top speed of either was in the region of 85mph. Lightweight, nimble, sure-footed and possessing a gem of an engine that sounds glorious when it comes 'on the cam', these little Dukes are a purist's delight to ride. 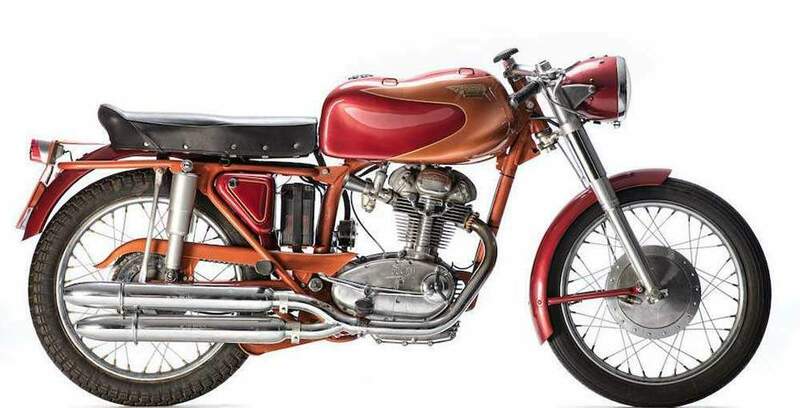 First introduced in 1959, the Ducati 200 Elite was developed by boring the 175-cc motor by 5 mm, to a capacity of 204 cc. That move resulted in an increased output of 18 horsepower at 7,500 rpm with a faster top speed of 87 mph. 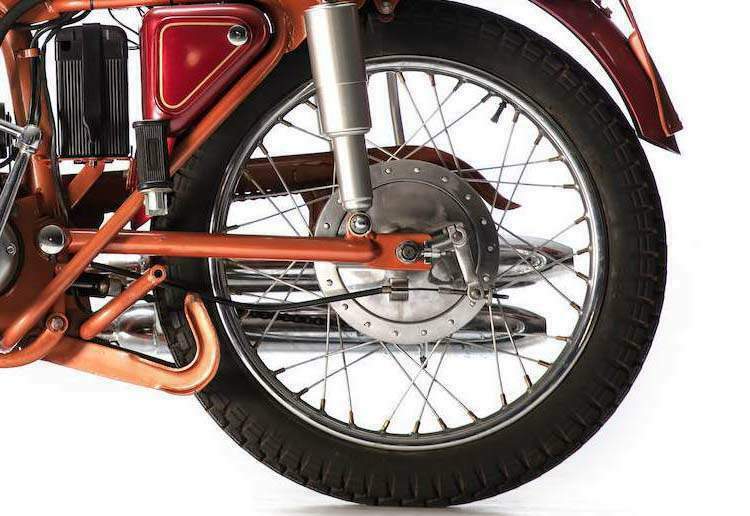 More than just its performance capabilities, the Elite 200 also featured a jelly mould tank, clip-on bars and dual mufflers of the 175, and 18" wheels.